The Whitlam Institute sends deep condolences to the family and friends of Freda Whitlam, who passed away yesterday on 30 May at the age of 97. Freda was the beloved only sister of former Prime Minister Gough Whitlam. The Whitlam Institute sends deep condolences to the family and friends of Freda Whitlam, who passed away on 30 May at the age of 97. Freda was the beloved only sister of former Prime Minister Gough Whitlam. Freda Leslie Whitlam, AM, BA, DipEd (Melbourne), MA (Yale) had a distinguished career in education and the church. She was Principal of Presbyterian Ladies College Sydney from 1958 to 1976, and has a School of Science named there in her honour. She was a prominent member of the Uniting Church of Australia, was the first female Moderator in that church and has been described as “a force behind the union of Presbyterians and Methodists” that led to the church’s creation in 1977. Later in life she supported the establishment of the University of the Third Age (U3A), and taught Latin through that institution. Freda’s life and career mirrored that of her brother in its commitment to public service and education. Like her brother, Freda enlisted in the RAAF during World War II, where she was a non-commissioned officer. 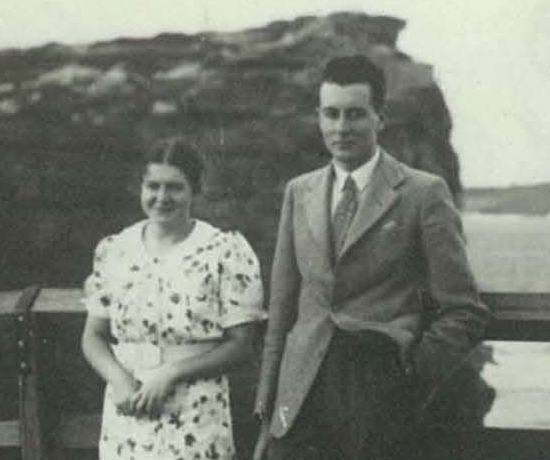 Gough Whitlam and his sister, Freda at Watson's Bay c1939. Gough and Freda with their mother, Martha Whitlam, Chatswood, 9 September 1922. Formal photograph of the Whitlam Family, 1923. Gough Whitlam with his sister, Freda, at his home in Cabramatta, January 1970. Freda Whitlam at launch of her biography Whitlam Institute, 2009. Freda Whitlam signs her biography, authored by Noelene Martin, 2009. Freda: A biography of Freda Whitlam by Noelene Martin, published 2009.